Drift away with our set of vinyl car stickers. Put your stamp on the way your vehicle looks and is perceived. 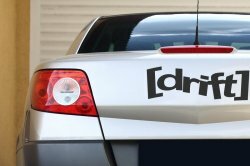 Add character to your car, be original, make it easily recognizable for you and others. Professional material used to manufacture these vinyl sticker is a guarantee of a full satisfaction. 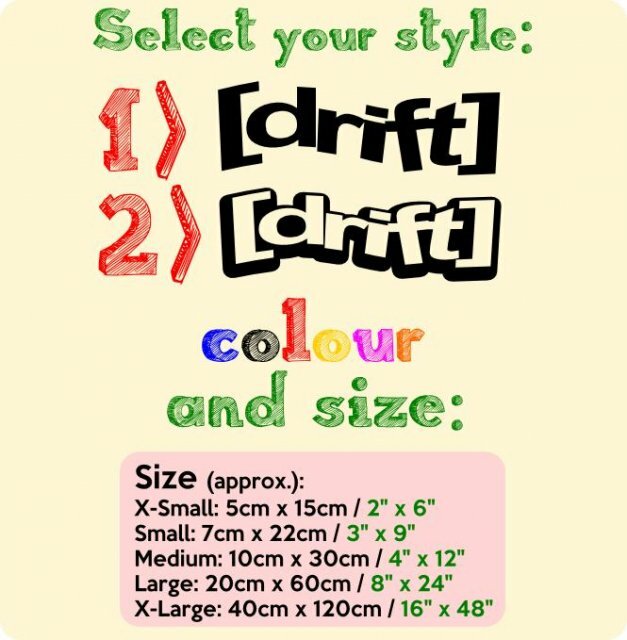 Choose your preferred colour and size and enjoy your new car the easy way.